Each month I’ll be investigating events around town that might pique the interest of the book nerds, the literature obsessed, and those who enjoy stimulating entertainment and/or socializing. Not surprisingly, Austin has a number of things going on every month the Book People community would enjoy. The beloved comic series by Bill Willingham is coming to an end, and Austin Books and Comics is throwing it a wake! It’s a massive three day party, including panels, signings, games and more. 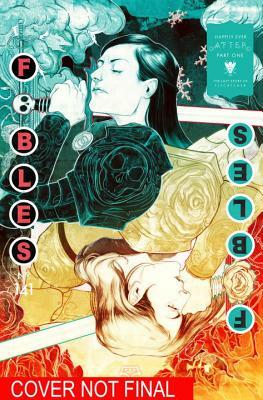 Creator Bill Willingham will be in attendance, along with a number of other folks who had their hands on Fables at some time or another. Check out their guest list & schedule of events! Austin Books and Comics is located at 5002 N. Lamar Blvd, just north of The Triangle. Crystal City was an American internment camp in Texas during World War II where thousands of families, many US citizens, were incarcerated. It was also the center of a government prisoner exchange program called “quiet passage.” Hear Jan Jarboe Russell, the author of The Train to Crystal City, discuss this incredible story. The Train to Crystal City is available on our shelves now! Exhibit lasts until November 15th. The exhibition includes more than 30 gouache and pastel drawings by artist Natalie Frank, a New York-based Austin native. Organized by The Drawing Center in New York, this presentation explores the nineteenth-century fairy tales of Jacob and Wilhelm Grimm, including well-known stories such as Cinderella and Snow White, and more obscure tales such as The Lettuce Donkey and The Ungrateful Son. Alongside this exhibition, Frank’s first book, published by Damiani and designed by Marian Bantjes, explores 36 of these original tales through a collection of 75 color drawings, accompanied by hand-drawn title pages, borders, and drawings throughout the book. The Alamo Drafthouse is showing Part 2 of the wonderful How to Train Your Dragon series, for its August Kid’s Camp!!! If you love the movies (and you should, because they are fantastic), be sure to check out the book series they are based on. 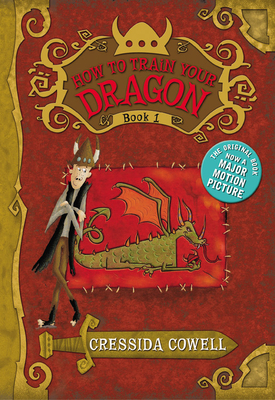 Written by British author Cressida Cowell, the HTTYD book universe is even MORE expansive, currently sitting at TWELVE volumes. We usually have these titles in stock, but if we are out of any of them, we can order them for you and have them in just a few short days! Alamo Drafthouse Kids Camp is an affordable way for families to watch great films together all summer. Choose your own ticket price – $1-$3 and buy your tickets online to reserve your seats in advance. 100% of ticket sales are donated to local nonprofits working to make our community a better place. NOTE: These events are not affiliated with Book People, except that we think they are great, that you’ll like them too, and hope to see you there! Are you hosting, or know about, a literary themed event here in Austin in the upcoming months??? If so, email sarah.h@bookpeople.com and let her know about it (hopefully with at least a few weeks advance warning)!